These photos were taken down at our local beach capturing a beautiful winter sunset one Friday evening. On this evening there were lots of people standing on the rocks taking photos of the su setting with only the sea in front of them as their canvas. I arrived as the sun was setting and noticed this scene on the way towards the water’s edge. 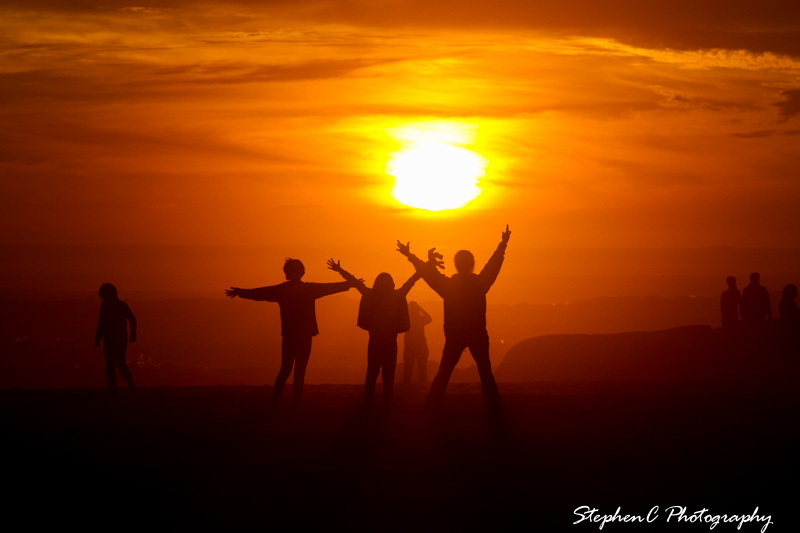 Having the people in the images adds a different element to the sunset. 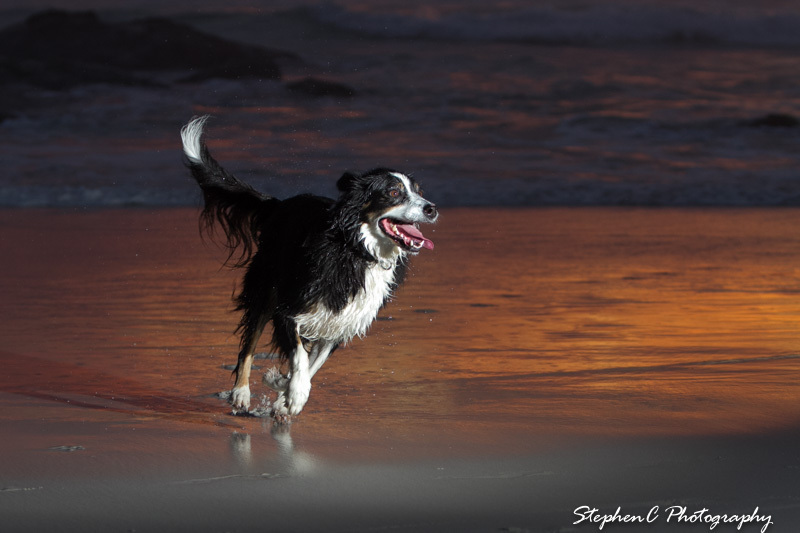 This photo above of our dog, Trixie, in her element running around the beach brings me to the header of this post – Off Camera Flash. To capture this image I have used some Pocket Wizard triggers to activate the flash which my wife is holding to my right. This off camera flash gives photos such a different feel and such better light. 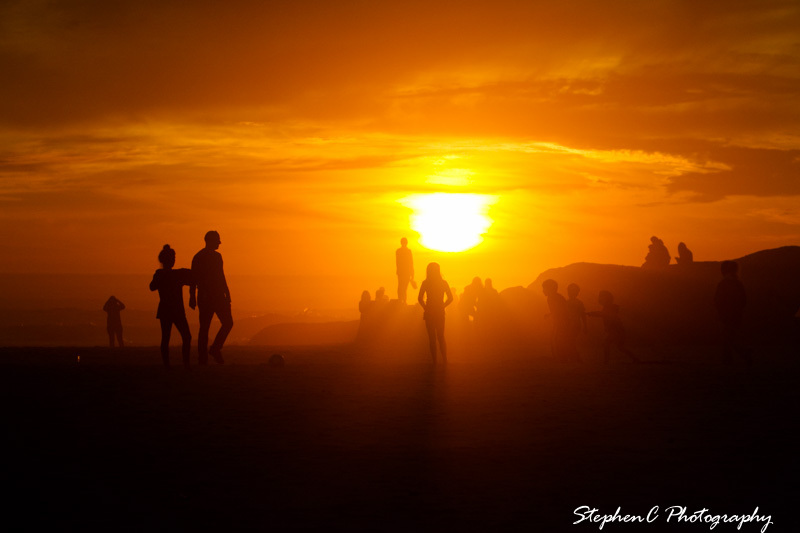 This type of photography is one of the topics I would cover in my One2One Photo Coaching sessions. If you are interested in taking images such as this give me a call. My coaching is informal and personal and tailored to your specific needs.